Curated Insights: How will Pokemon GO influence workplace learning? 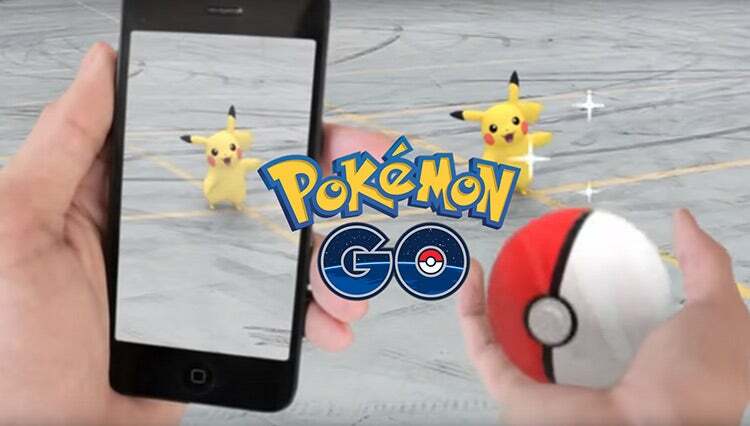 It may only be a few weeks old, but Pokemon GO has already claimed its spot as the most talked-about app of 2016. With more than 15 million active users who play for 34 minutes per day on average, Pokemon GO has a more engaged user base than Snapchat or Facebook. Meanwhile, Forbes estimates that the app generates $1.6M in daily revenue. I have long been a proponent of gaining L&D inspiration from the consumer application of technology. As my L&D peer David Kelly says, we must look to how technology impacts our everyday lives in order to determine how it can impact learning. To that end, I have dedicated my July Curated Insights to what we may be able to glean from the Pokemon GO phenomenon. You can always look to Donald Clark to give it to you straight when it comes to learning. He has been an outspoken advocate of virtual reality (VR) and augmented reality (AR) tech for some time, so I expected to hear from him pretty quickly with regards to Pokemon GO. In this blog post, Donald outlines a variety of potential conceptual applications for AR in support of learning – both workplace and academic. Of particular note is Donald’s focus on AR as a means of providing additional context for helping people understand complex information. For example, rather than simply deliver content on a challenging subject, an instructor could use an AR experience to help students learn through real-world application with layered, in-context explanations. He also highlights AR as fulfilling the potential and unrealized promise of “mobile learning,” as you can leverage your device to bring learning opportunities with you and engage whenever needed. Oh, and +10 points for the use of the word “portends” in the title! Where Donald explored the high-level implications of AR for learning, Koreen Pagano digs even deeper into a variety of potential improvements on both the game itself as well as our ability to apply similar concepts in our work. For Koreen, Pokemon GO is just one example of how technology can create more immersive learning experiences. Koreen points out a variety of continued innovations that must take place before this type of technology can be applied meaningfully in the workplace. For example, organizations are still challenged to provide quality wifi or sufficient cellular data for their employees, thereby limiting the potential of mobile devices. Accessibility often only comes up related to basic compliance requirements but will likely become even more important as new devices and modalities are introduced in the workplace. And, to answer Koreen’s final question, I still use Swarm, which is an offshoot of Foursquare. Melissa Milloway makes the Pokemon GO discussion even more practical by applying her perspective as a designer. In her LinkedIn post, Mel breaks down several components of the game to explore the use of similar principles when building learning content. Mel highlights one of my favorite parts of the Pokemon GO app – simplicity. You don’t have to know anything about the characters or learn any new skills to get involved. The app is designed to leverage familiar user behaviors, such as GPS navigation and simple game mechanics. The game also leverages familiarity in its use of popular real-world locations as in-game landmarks. This further bolsters ease of adoption and is likely a big reason player activity surged from the day the app launched. Have you heard of Magic Leap? It seems that not very many people have, at least for now. That’s likely because the company has yet to release – or even specifically define – their product. This article from Futurism includes a video interview with Magic Leap CEO Rony Abovitz in which he explains a bit more about what’s going on behind the curtain. Here’s a quick example of Magic Leap’s technology at work with a few familiar friends from the Star Wars universe. Why should you pay attention to Magic Leap, and what does it have to do with Pokemon? This technology represents a potential next step – or more aptly a leap forward – for augmented reality. Rather than simply overlay digital content onto physical space – like the AR in Pokemon GO – mixed reality (MR) allows the digital to interact with the physical. When you take into account the AR and related insights shared in the articles from Donald, Koreen and Mel, imagine what this technology could do when applied in support of learning and performance. Magic Leap still remains a bit of a mystery. It’s also a great example of why learning professionals should continue to monitor and discuss evolutions in consumer technology – to ensure our work maintains pace with and leverages the same behaviors as the tools people are using to improve their everyday lives. Have you been playing Pokemon GO? How do you think the principles that have made it the most popular app of the year can be applied in support of workplace learning? Share your thoughts via comments below, and check back in August for my next curated collection on another popular workplace learning theme. For a behind-the-scenes look into my curation efforts, follow me on Flipboard, where I post new articles on a variety of L&D themes every day.